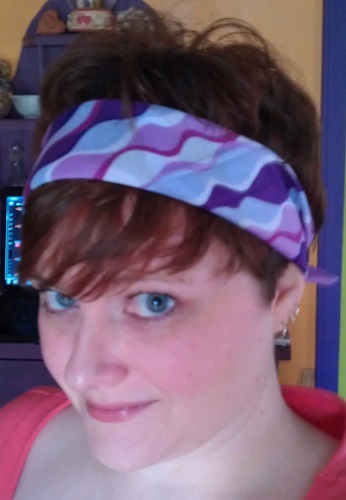 Today (as in the day I’m writing this blog post, not necessarily the day I’m posting it) I was feeling a ’60s vibe. So I wore a coral shift dress, white flats, and tied a wavy-patterned, purple bandana around my head in a ’60s style, fluffing up my my hair at the crown of my head to really sell it. I even did my make-up in a more ’60s style, but not too overtly ’60s. I don’t have the skill with false eyelashes and eyeliner to do that. I also don’t own any white lipstick. Then I went out and ran errands. While out and about among the people of my little town in the cornfield, it was pretty obvious that I was operating on a different fashion level than the people I was around. Not a better fashion level, just a different one. And when you operate outside of the normal levels, well, you tend to stand out a little more. I fell into a fashion rut a few years ago. Part of it was because I was broke and couldn’t afford new clothes. Part of it was because, even though I wanted to rock some new, stylish duds, I felt like I needed a place to wear these things. Just going out around town to run errands or going to teach homeschool or ferry the kid to and from school didn’t seem like a good enough reason to deviate from my t-shirt and jeans. I’d stand out and I didn’t want to stand out. Last year, this started to change. First, I was able to afford new clothes. Second, I decided to stop worrying about what other people might be thinking about me because I chose to wear fishnets and boots to the liquor store (for the record, the older ladies at the liquor store have always been very complimentary about my style). Just because people around here were used to seeing only t-shirts and jeans, and people who knew me were used to seeing me in t-shirts and jeans, didn’t mean that I had to continue in that rut. I’ve been a little adventurous in my fashion choices as a result. Wearing my coral shift dress with an olive green military style jacket, bright purple scarf, flower fishnet tights, and black suede boots. 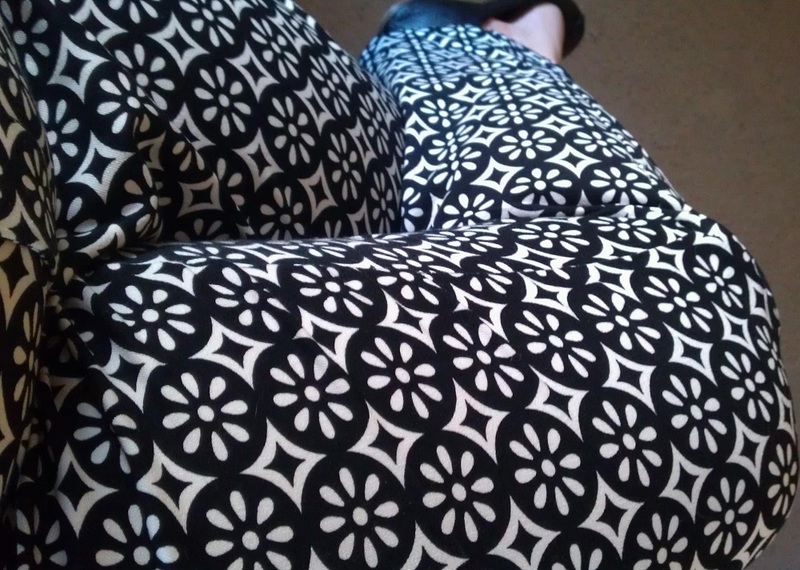 Rocking black and white patterned pants with a black or white t-shirt and black or white flats, depending on the need. 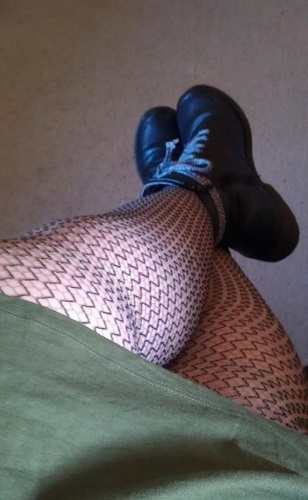 Wearing an olive green tie dress and bright purple scarf (that scarf became a favorite over the winter) with gray and black fishnets and black combat style boots. Pairing my black shift dress with a red plaid shirt, gray tights, and boots. I got a million of them. I kidded on Twitter that if I had a full-length mirror, people would be getting daily tweets of my outfits. Only, I wasn’t really kidding. I really would do that just because I’m so pleased that I’ve broken out of my fashion rut in such a colorful, fun way. It gives the folks in my small town something different to look at, too.